Superior Rock Bit Company, originally known as Superior Blasthole Company, was founded in 1975 by Frank Klima, Mining Engineer. Frank holds patents in “Adaptive Control for Rotary Drills,” “Method of Making and Placing of Slurry Explosives or Blasting Agents” as well as several other patents related to the design and manufacturing of sealed bearing rotary drill rock bits. 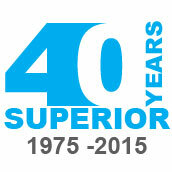 Over the last 40 years in business Superior Rock Bit has remained a family run business by Frank and later his son Dave; today, the company is run by Dave's son, Aaron Klima, President and Industrial Manufacturing Engineer. 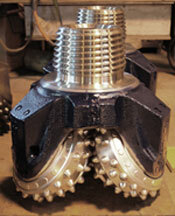 Rotary Drilling came to the Iron Range in Minnesota, USA in the 1950’s. In the Early 1970’s there were many different manufacturers of rotary drill bits including: Hughes Tool Co, Reed Tool Co, Smith Tool Co, Security Eng. Of Dresser Industries and Varel Int. At that time all rock bits used in mining were air bearing bits of similar design. However, in the mid 1976 Superior Rock Bit helped change the industry by designing and manufacturing a patented sealed bearing rock bit on the Iron Range. Throughout the last 40 years, the rock bit manufacturing industry has undergone many acquisitions and mergers, resulting in only a couple remaining rock bit manufacturers. However, Superior Rock Bit is still Superior and we remain competitive to this date by observing our core values of Superior products and Superior service. Read the Frank J. Klima Bio from Michigan Tech.